Last Sunday, Mari Berhijab was held an event named "Mari Berhijab Inspiring Beauty Class with Wardah". 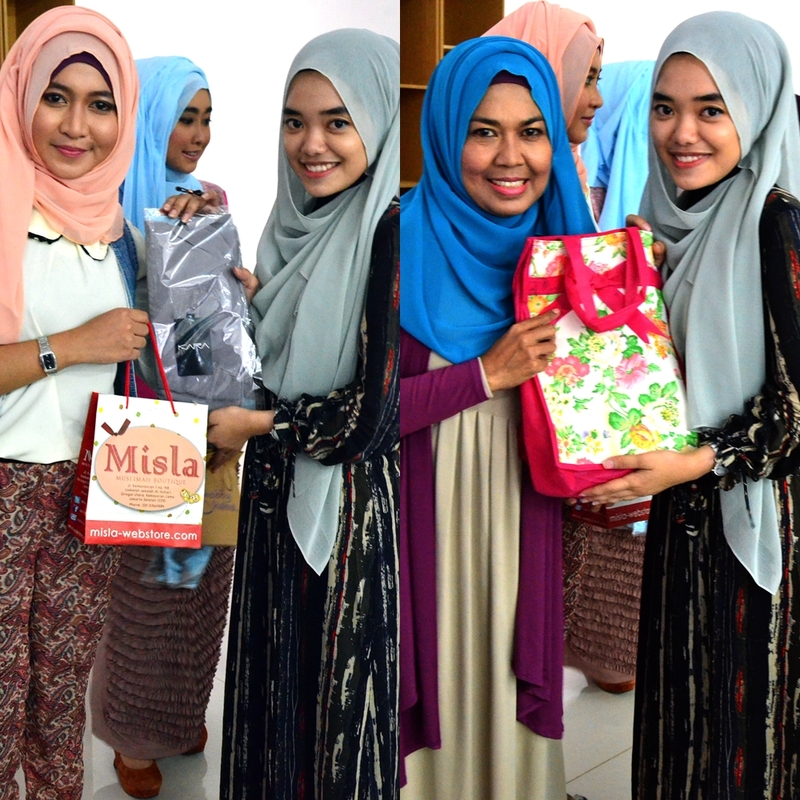 There were beauty class by Wardah and hijab class by Puput Utami (hijab blogger & committee of Hijabers Community). At this event all of participants could silaturahim each other & silaturahim with Mari Berhijab team, of course all of participants have been donating for Mari Berhijab's charity program called #TakeAction (because some of the registration fee is donated). "Mari Berhijab Inspiring Beauty Class with Wardah" is started after Dhuhr prayer (on 1 p.m). The participants got goodie bag from Wardah, shawl + inner, & snack. The event was moderated by Peni (one of Mari Berhijab team) & while waiting for all the participants came, she talked to the participants who have come earlier. After that, there were speeches from Ola Aswandi (as founder of Mari Berhijab) & Uci (as chief of the event). Alhamdulillah, finally all the participants have come. So, let's start the beauty class with Wardah! 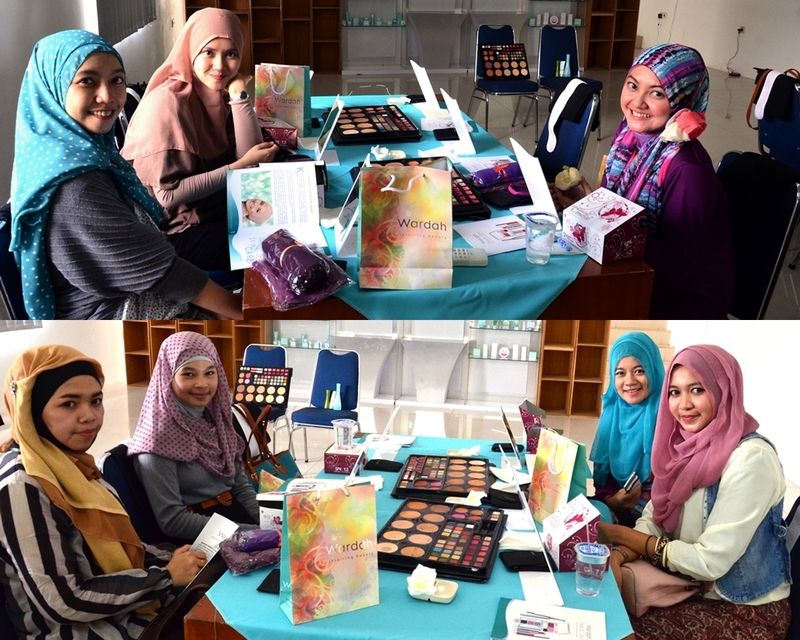 This beauty class is guided by Wardah team with make-up theme "Smokey Elegant". And actually, I also joined this beauty class because my make-up skill is not good enough, hehe. beauty class with Wardah is started! After about 1,5 hours (take a long time, right? hehe..), it was continued by hijab class with Puput Utami as the tutor. 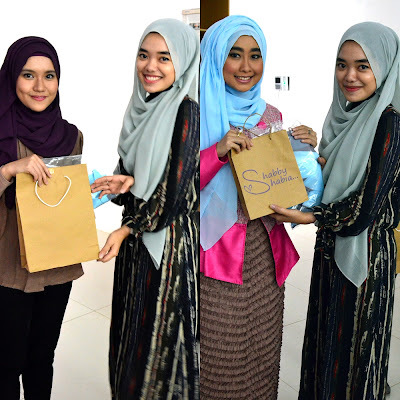 Puput taught some hijab tutorials & it was quite easy to be followed by the participants. Unlike in the beauty class, at this session I was back on my duty as the event photographer (back to the camera and.. click click!). At last but not least was photos time!!! Took photos together with all the participants, Wardah team, Mari Berhijab team, & Puput Utami. See you on the next event from Mari Berhijab!